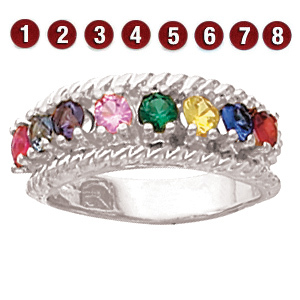 The sterling silver twisted rope mother's ring offers your choice of eight round simulated gemstones. Each prong-set gemstone is 3mm in diameter. Handcrafted to order.